Busy last few weeks for me, I was traveling, attending on a tech conference, starting a new project and working on my day job. I didn’t have much time for blogging I wish for, but I didn’t miss anything happening in domain world. Big news from last week is Crypto.com domain name sale. First it was reported that it was sold for undisclosed amount, but this week we learn the sale price is (or close to) $12 millions. However the price isn’t confirmed yet with the buyer or seller. Twenty five years ago, back in 1993, I registered the name crypto.com, which I’ve used as my personal domain as well as to host a variety of cryptography technology and policy resources. Back in March he stated that the domain name Crypto.com is not for sale. Published in article in theverge.com. What better way than this to say “The domain name IS FOR SALE”? I think this was a strategy to sell for a top price and attract the attention of big companies. He is a smart guy that owns valuable domain name. Over the last few years, I’ve gotten a growing barrage of offers, many of which were obviously non-serious, but a few of which were, frankly, attention-getting, for the crypto.com domain. I shrugged most of them off, but it became increasingly clear that holding on to the domain was making less and less sense for me. I quietly entered discussion with a few serious potential buyers earlier this year. You can read the full article from Matt Blaze blog here. The moment was perfect too. Crypto currencies are hot topic from last year till now. We have seen big companies going into crypto or starting an ICO. The buyer of this valuable domain name is Monaco – crypto Visa card company, that uses the domain name mona.co till now. Looks like they clearly understand they needed a top and category killer domain name in their niche. What a better option than one word dot com domain name? As a customer which services you will prefer, a company that uses a domain hack like Mona.co or company that is hosted on Crypto.com? This is a win-win situation for both parties. It’s a great deal and looking forward to see if the sale price will be confirmed anytime soon. 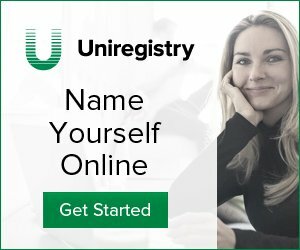 How much you think Crypto.com domain name is worth, $12 millions – more or less?